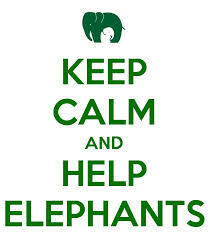 Send out some emails today to alert Nepalese stakeholders to the conditions of safari elephants. Please refrain from offensive language….stay cool! You find a sample letter below but do make some changes to personalise your letter. I write to you today to express my concern about the conditions of safari elephants in Nepal, and to urge you to take immediate action to improve their situation and that of their caretakers. Just recently I found that elephants continue to be smuggled to and from India by unscrupulous tourism entrepreneurs, and that the elephants are underfed and overworked, leading sometimes even to death. Among the working elephants are blind, handicapped and sick ones. Nepal is a wonderful tourist destination, but the suffering of elephants disturbs me. Please make sure the safaris are regulated, and welfare standards and immediate improvements are introduced, benefiting both elephants and mahouts, and the image of Nepal as a whole. Elephants are overworked: Elephants conduct up to 7 trips, 7 days a week, carrying at least 4 people on their back. They often start their day before sunrise and come back after sunset. Elephants are beaten: Virtually all elephants are beaten with a bamboo stick on a daily basis. Mahouts use bamboo sticks and the cruel ankush or bull hook. Elephants are made to perform: “Bathing with tourists” is in fact a performance and is highly stressful. Elephants DO NOT enjoy it. Elephants are chained: After a long day’s work, elephants return to their shelter, and are tied with (spiked) chains. They can hardly move and often stand in their urine, causing feet problems. Elephants suffer from ill health: an estimated 20% of captive elephants suffer from Tuberculosis. Others suffer from saddle wounds, feet problems, or severe handicaps. Elephants’ training is cruel: The cruel “initiation ritual” consists of scarring, scaring and starving young elephants until they break. It is a practice that takes place still today. Elephants do not retire: Nepal has no retirement facilities. This means elephants as old as 70 years old are still working. As you probably know, elephants are highly endangered and intelligent animals with complex needs that are hard to be met in captivity. The tourist rides greatly contribute to the suffering of these majestic animals.